The LLYC Lima office was opened on 21 August 1998. 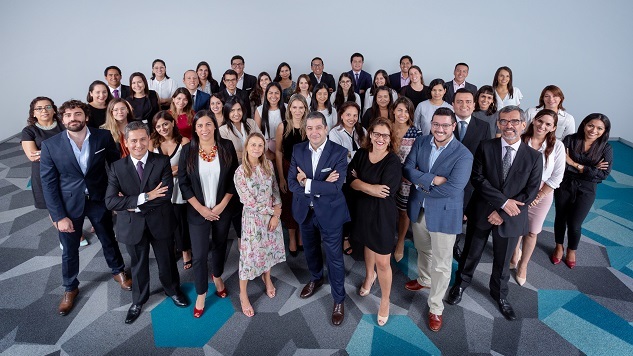 Our firm is currently the leading communication consultancy firm in the Peruvian market thanks, to a great extent, to the trust received from the leading companies in the country. We are the most awarded and the only communication consultancy firm in Peru to have received the most prestigious awards in the sector, among them, Anda Awards, Effie Awards, PRWeek Global Awards, Cannes Lions, Stevie Awards, SABRE Latin America and Eikon. We have extensive experience in Financial Communication, Corporate Communication, Marketing, Crisis Communication, Litigation Communication, Online Communication and Public Affairs, among other areas of expertise. Our clients include companies from various sectors, such as finance, mining, telecommunications, mass consumption, real estate and education, including Backus, LAP (Lima Airport Partners), Microsoft, Scotiabank, Sacyr, UTEC, KPMG, Antamina or San Fernando.